Assorted Fine, Medium and Coarse. 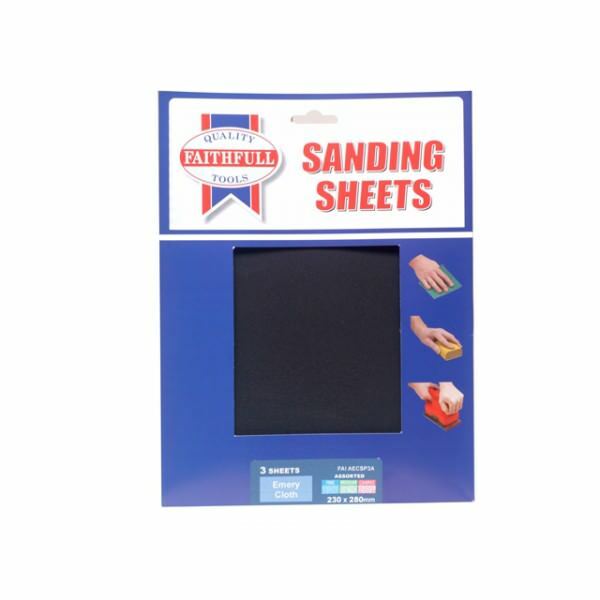 SKU: 9000004322 Categories: Sanding Sheets, Pads & Sponges, Sanding Sheets, Pads & Sponges Brands: Faithfull. The Faithfull Emery Cloth Sheets are manufactured from blue Aluminium Oxide and are suitable for hand use on metalwork and final polishing. Assorted pack of 3: Fine, Medium and Coarse. Size: 280 mm x 230 mm.